If you appreciate the style and quality of designer furniture but cannot justify the expense of expensive trend pieces, bear in mind that our replica red Jasper Morrison Hal chair is so finely crafted, we challenge you to tell the difference. 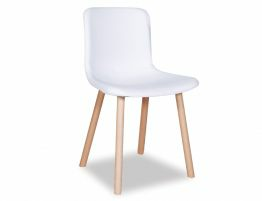 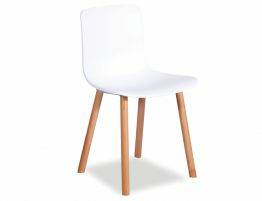 The red Flex Dining chair sports a molded Polypropylene plastic red seat and solid Beechwood legs in natural or walnut. 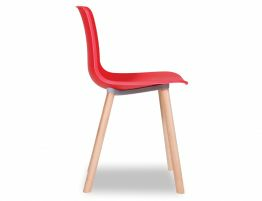 If you are looking for a modern red dining chair or red plastic and wood desk chair, our Flex Dining chair is a worthy contender. 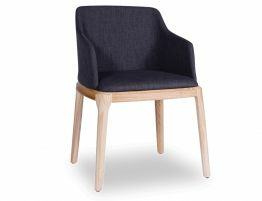 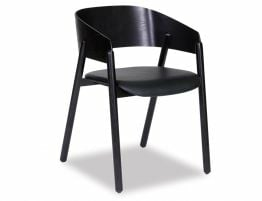 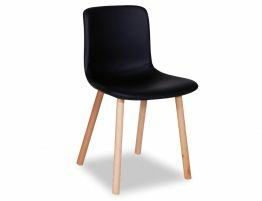 The Flex Dining chair is well suited for your kitchen or dining table, desk or home office and offers pure forms, clean lines and little in the way of embellishment giving it a clean aesthetic perfect for your modern spaces.